Auburn Hills, MI – Reliance One, Inc. is pleased to announce the acquisition of WheelHouse Resource Partners, a technical staffing firm in Dallas, Texas. This acquisition will be the 5th office for Reliance One. These locations include Auburn Hills, Bingham Farms and Lansing MI, Chicago, IL and Dallas, TX. WheelHouse Resource Partners was founded in 1998 and has since provided skilled information technology and engineering consultants to its customers. 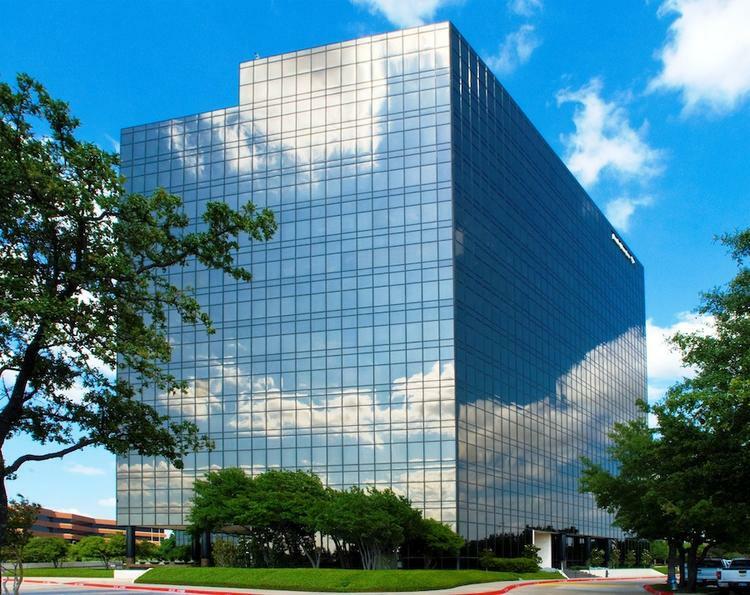 “We are looking forward to a successful transition with such a well-established company and we are excited to join the growing Dallas Market. As Reliance One continues to grow with our customer base, that includes large global companies, it is important that we keep pace with our customers’ demands. I would like to welcome John Brown, Founder of WheelHouse and his team to Reliance One and thank Company Founders, Jim Beath and Jim Paquette for continuing to invest in our company’s future,” said Jeff Gardner, President of Reliance One. Reliance One Inc. is a minority-owned, NMSDC-certified staffing corporation headquartered in Michigan with a focus on matching the ideal professional to a client’s specific needs for both long-term, short-term, or project based positions (including temporary, temporary to direct, or direct). Auburn Hills, MI – Reliance One, a staffing firm headquartered in Auburn Hills, Michigan, is proud to welcome Rachel Hamill to our team as an Account Manager. With more than 20 years of experience in the staffing industry, Rachel is a well-established leader that has relationships throughout the Midwest. She has worked with various industries including Automotive, Finance, Insurance and Health Care. Reliance One is delighted to have someone with her expertise joining our company. “We are very excited for Rachel to join our team. Having known and worked with Rachel professionally for nearly 20 years, I know that we are gaining a leader with a passion for our industry and with a proven track record. To keep pace with our growth, it is imperative that we attract someone with Rachel’s experience for both our customers and our team members here at Reliance One,” said Jeff Gardner, President at Reliance One. If you are interested in joining our dynamic growing team, please contact Lelia Cotton at LCotton@reliance-one.com. Reliance One Inc. is a minority-owned, MMSDC-certified staffing corporation headquartered in Michigan with a focus on matching the ideal professional to a client’s specific needs for both long-term, short-term, or project based positions (including temporary, temporary to direct, or direct). 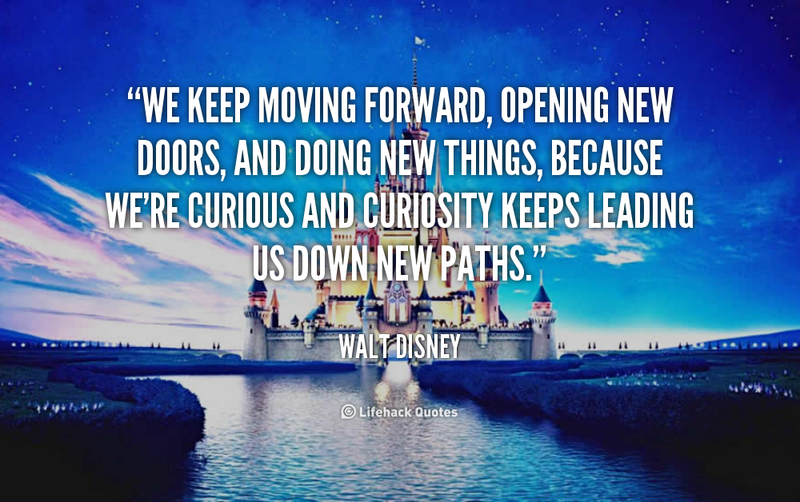 Auburn Hills, MI – Walt Disney was a big believer in curiosity and persistence. His “greatest legacy was his mindset that you could look at the world and impose your will on it,” said Neal Gabler, author of the biography “Walt Disney: The Triumph of the American Imagination.” In the same way that Walt Disney influenced the world with innovation, Reliance One team members are influencing the community with passion and dedication. Reliance One strongly believes in thinking outside the box and impacting change. This is driven by curiosity and the ambition to succeed. In the spirit of change, Reliance One is proud to announce the recent promotions of John Martinez, Mike Loll, Josh Cobleigh, Sean Hill, and Lelia Cotton. Since their promotions, the five have been breaking ground in their new roles. 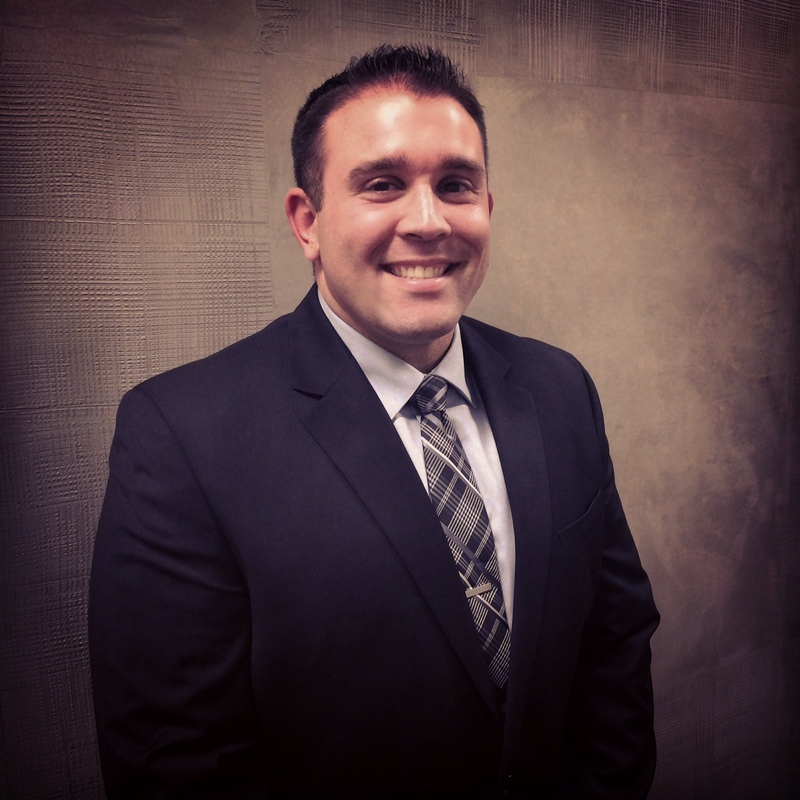 John Martinez was recently promoted from Technical Recruiter to Account Manager. John is from Auburn Hills, MI and attended Michigan State University where he graduated with a Bachelor Degree in Advertising. While at MSU, he played college baseball and his senior year, he was named captain. After graduation, he was referred to Reliance One by his twin brother, Jimmy, who is an Account Manager in our Chicago office. John has been part of the Reliance One team since August of 2014 and in January 2016 he was promoted to Account Manager. Josh Cobleigh was recently promoted from Technical Recruiter to Account Manager and made the move to our office in Lisle, IL. Josh is from Flushing, MI and attended Central Michigan University where he majored in Entrepreneurial Studies and minored in Marketing & Professional Sales. He started his career in the Mortgage Industry and also helped to open a Hibachi Steakhouse & Sushi restaurant. He made the switch to recruiting when a current employee and childhood friend told him about Reliance One. 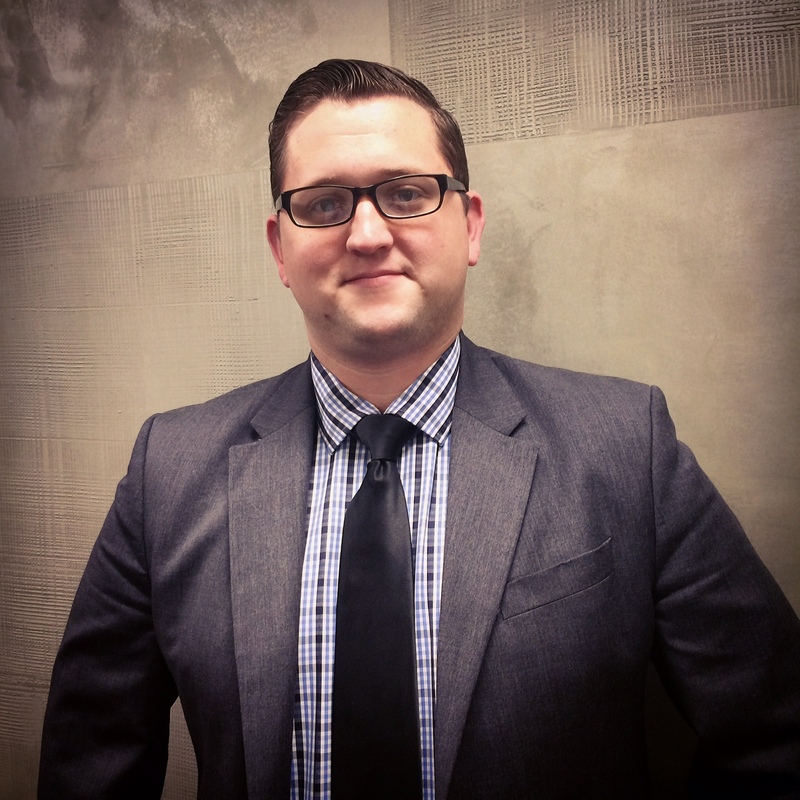 Josh started at Reliance One in December of 2014 and in January of 2016 he was promoted to Account Manager. Sean Hill joined Reliance One in December of 2011 as a Technical Recruiter and has climbed his way up the ladder since. He was promoted to a Sr. Technical Recruiter in February of 2014 and has made an effort to make an impact on the people around him and help them grow and develop professionally. All of his hard work paid off and he was promoted again to Talent Acquisition Manager, a new position that was developed to keep up with the growing industry. Jeff Gardner, President, said “we knew that in order to keep up with the growing demand for talent we would have to grow our internal Talent Acquisition Team. Sean has been with the company through thick and thin and has made a huge impact on every person in the company in one way or another”. Reliance One is excited about all of the changes taking place and is looking forward to what this year will bring. If you are interested in joining our dynamic and evolving team, please contact Tyra Stowe at TStowe@reliance-one.com. Auburn Hills, MI – Abraham Lincoln is quoted as saying “the best way to predict the future is to create it” and that is exactly what Reliance One is doing. The staffing and recruiting firm proudly celebrated 17 years of solving staffing challenges and providing employment to hundreds of people. In 1998, James Beath and James Paquette founded Reliance One, Inc. The business partners launched their recruiting services from a residential basement in Flint, MI and through hard work and dedication, the company has now grown to over 600 employees. “The staffing industry is gaining incredible momentum right now and we are excited to be a part of this extraordinary growth,” said James Beath, co-founder. According to the National Conference of State Legislatures, “approximately 211,000 jobs were created in November,” leading to an increase in demand for employees. Reliance One is taking advantage of the economic pressure and is diligently working to fill their clients’ openings. “We have a team of passionate team members who work hard every day to put people to work and create bright futures for themselves, their contractors, and the company,” said James Paquette, co-founder. Reliance One is stronger than ever at their 17th anniversary. The company continues to be committed to providing solutions that enable our customers to meet the evolving workforce demands and solving staffing challenges. Auburn Hills, MI – For the fifth consecutive year, Reliance One, Inc. has been named one of the Top Workplaces by the Detroit Free Press. The Top Workplaces lists are based solely on the results of an employee feedback survey administered by Workplace Dynamics, LLC, a leading research firm that specializes in organizational health and workplace improvement. Several aspects of workplace culture were measured, including Alignment, Execution, and Connection, just to name a few. If you are interested in joining a dynamic team with the opportunity for growth, please contact Tyra Stowe at TStowe@reliance-one.com. WE’RE HERE TO MAKE GOOD THINGS HAPPEN … 16 YEARS STRONG! PRNewswire – Reliance One, Inc., a Michigan based staffing and recruiting firm, is proudly celebrating 16 years of business. With a heightened focus on serving clients and employees to make good things happen for everyone, Reliance One is positioned for substantial growth. Over the past 16 years, Reliance One has been developing and supporting complete staffing solutions that meet the highly demanding and complex requirements of its clients. Reliance One has established itself as a true partner for solving staffing challenges and assisting with workforce flexibility. The company attests the success of the business to retention of key personnel and having a solid growth plan. 2015 will continue to expand the markets for Reliance One. The company plans to launch another office and seek new business avenues. 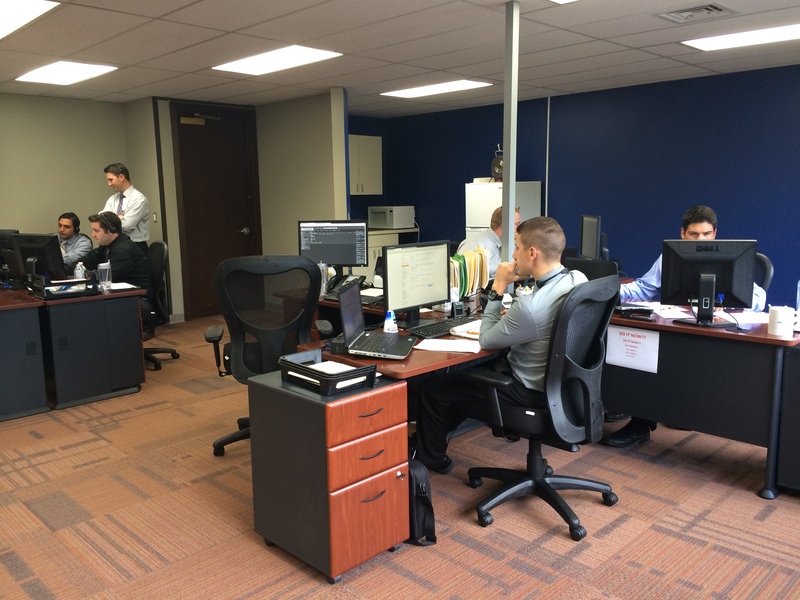 The current offices in Auburn Hills, MI and Bingham Farms, MI are bursting at the seams with highly competitive and extremely motivated individuals committed to the future. Reliance One has a lot to be proud of; we’re here to make good things happen for someone else, we do that…and it all works. Reliance One is excited to announce the promotion of Domonic (Dom) Accardo to Account Manager. Dom started with Reliance One in February 2013 and he quickly became one of our top producing Technical Recruiters. He grew up in the Grand Blanc / Goodrich area and attended U of M Flint, graduating with a Finance Degree. He enjoys playing basketball and football, lifting weights and spending time with his family when not at work. “Dom has demonstrated the ability to manage accounts and provide value to his customers. He has a reputation of always coming through for the managers. Dom will be a great Account Manager because of his work ethic and passion to succeed,” said Jeff Gardner, President of Reliance One. Reliance One is happy to announce the promotion of Jason Lewer to IT Account Manager located out of our Bingham Farms location. Jason started with Reliance One in September of 2013 and has become a trusted source of knowledge to our whole organization. He grew up in Rochester, attended Rochester Adams, and then moved to Michigan State to pursue Computer Engineering. He enjoys spending time with his wife and son, their dog Maggie, and building computers. “The IT industry continues to grow at an exponential rate which is why we made the decision to move Jason into this IT Account Manager role. Jason has a passion for IT and has shown the ability to develop relationships and deliver results for our clients. We feel with the dedication and growth he has shown this past year, he is the right candidate to fill this position and will continue to be an integral team member of Reliance One,” said Jeff Gardner, President of Reliance One. Growth means change, and change can be a great thing! It has been quite the journey, but we are excited to announce the opening of our new office, located in the Bingham Farms area! 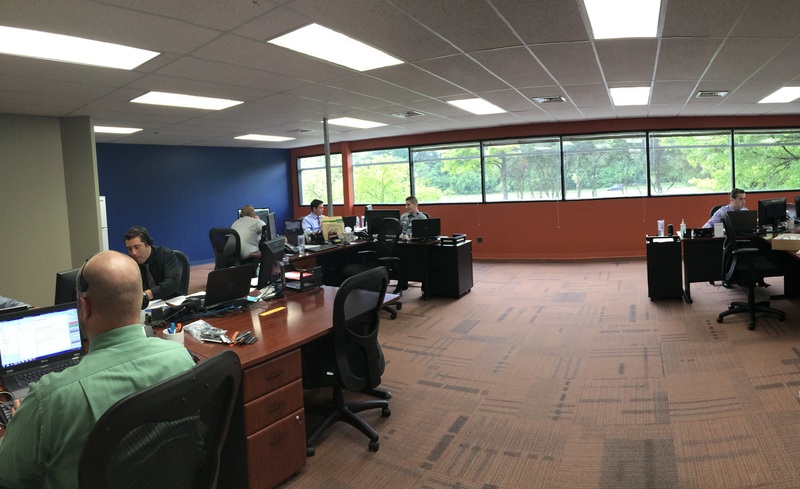 After months of searching for the right location, tedious planning and budgeting, we finally found the perfect space for Reliance One to expand and grow! “With every office and cube filled to full capacity in our headquarters, it only made sense for us to open up another office to continue with the momentum and growth we’re experiencing on a daily basis,” said Jeff Gardner, Vice President of Sales at Reliance One. We moved four teams down to our new location, and they are more than excited to dive in head first and make a huge splash for Reliance One. This is just the beginning of big things to come! 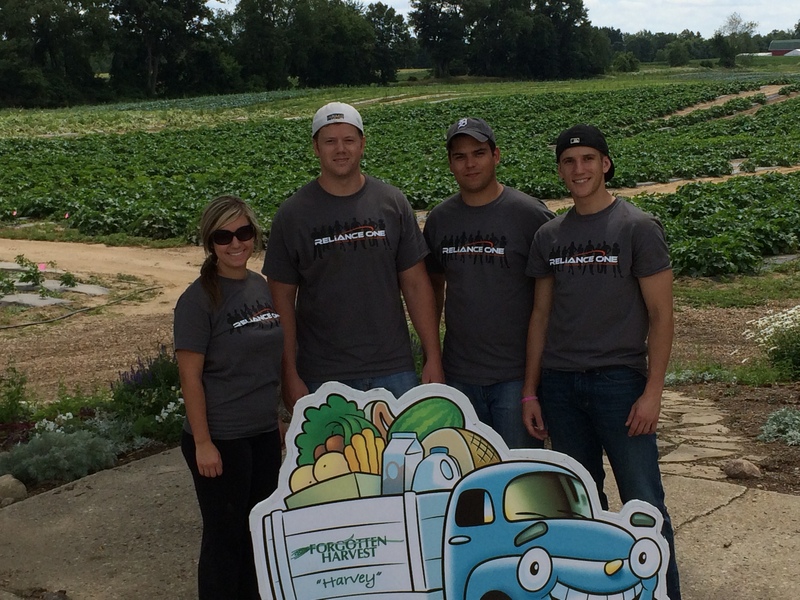 A team from Reliance One recently spent a day at the Forgotten Harvest of Southeast Detroit. Matt, Ognen, Jen, and Max spent the day picking summer squash that was eventually distributed to families in the Detroit area. The task was daunting as there were eight rows of squash that stretched over a half mile long. The team pulled together to pick the squash off the vines, as well as pull up the plants so that the fields could be reseeded the following day. “Volunteering was a great way to bring our team closer together while also impacting others. It was fun, but it was also hard work. It really made us appreciate the people that are out there every day making a difference in other’s lives,” said Matt Van Norman, Account Manager at Reliance One. The team said that working on the farm was without a doubt physically taxing; however, the optimism of the entire volunteer group made for an enjoyable day of service. The mission of Forgotten Harvest, founded in 1990, is to relieve hunger in the Detroit metropolitan community by rescuing extra, prepared and perishable food and donating it to emergency food providers. This donated food, which would otherwise go to waste, is delivered free-of-charge to 280 emergency food providers in the Metro Detroit area.